One who is the student of maths must be searching for some easy tips and tricks to draw different angles that will assist in his mathematics. In this video tutorial you will learn in step by step manner about drawing an acute triangle. Here I will share some different techniques for drawing acute triangle. Just watch the video, despite you are a beginner or kid, follow the video step by step and then see how easy it is to draw triangle. Triangles are the very basics things in mathematics, One cant do maths without having much knowledge about drawing an acute and obtuse and some other like that triangle. Just learn by heart and dont take it so hard. Keep trying hard, you will definitely get successful in whatever you want to do. After watching video tutorial it will become easy for you to use right compass and protector for sketching and portraying a triangle named acute. 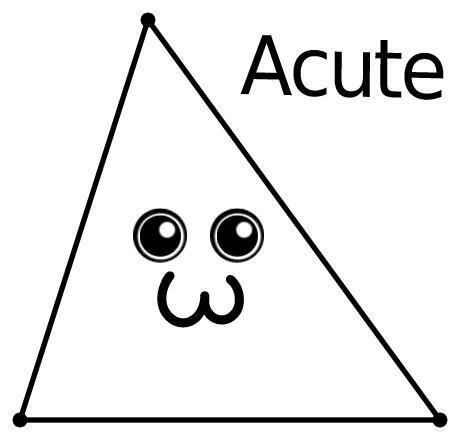 Just learn the basic use of instruments and get into mind what actually acute triangle means, then it will be no more difficult for you to be successful.